Is Social Customer Care at the heart of your social strategy? It is no secret that social media has earned its rightful place as a key customer care channel over voice, face-to-face interactions and email. In fact, 90% of social media users have indicated that they have actively engaged with a brand on at least one social channel, before, during and after a sale. Customers remain loyal to brands because of the brands quality, value and cost but the very same brand custodians have indicated that they will leave a brand if it fails to deliver on customer service. 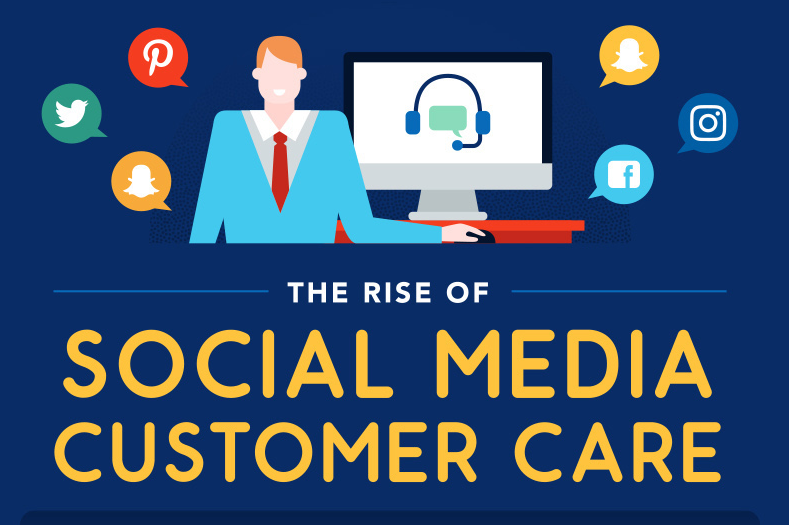 Have a look at the following infographic on the rise of social media customer care. Expectations for customer service care are high. Customers prefer online and social channels as a method of communication due to the immediacy of the interactions. In fact, 84% of customers expect a response within a day and 47% expect it within an hour. Social interactions have also become a ‘spectators sport’. Customer are no longer privately messaging companies with their complaints or compliments but rather posting publicly. 75% of users believe that social channels empower them, as they direct their queries to a brand with the confidence that they’ll be heard. Companies that respond quickly and effectively when customers shine the spotlight on them, will maintain higher numbers of promoters. But how do you handle growing customer service care interactions at scale? Customer service interactions via online and social platforms are growing more complex and increasing in numbers. Omni-channel customer support might pose problems for companies wanting to remain ahead and deliver exceptional service. However, technology and AI have made it possible for companies to respond to customer queries, interact with customers still within the purchasing cycle and provide excellent post-purchase service – all while maintaining the brands core identity and values. Be Warned, automation and self-service still need a human touch. Automation and self-serve becomes a win-win interaction. At least 66% of consumers feel good about both a brand and themselves when they solve those quick questions and problems without needing to talk with an agent. Although BOT automation is an effective method of answering easy and quick questions, companies still need to remain alert to the fact that the customer still prefers that personal touch. In fact, 59% of customers rank personalization of interactions as being a medium or higher priority. There is nothing more frustrating than asking a question, receiving an immediate response only to be forwarded to an article or manual for self-help and the content made available has not solved your problem at all. Lithium Social Publishing and Response is the answer. There are many tech companies that have created products to help businesses better interact with their clients, but do all of these tech platforms deliver on customer expectations? Lithium is a leading social and technology platform, that combines powerful publishing and response feature sets for marketing and customer service. Lithium was also announced a “Leader in Social Media Management Solutions” in a Forrester report in 2017. Read Lithiums white paper for practical tips & tricks on “10 ways to upgrade your customer service”.